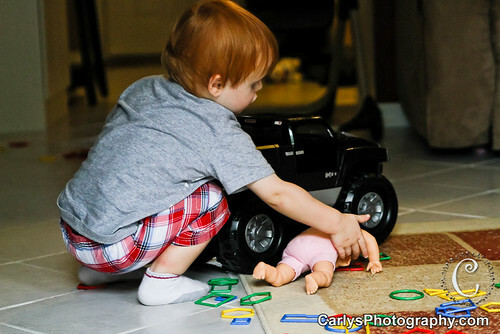 I’ve never really thought that trucks are for boys and dolls are for girls. 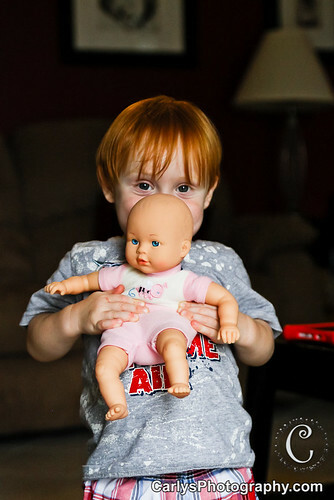 It is interesting though how even at a young age children are drawn to what is thought of a gender specific toys. 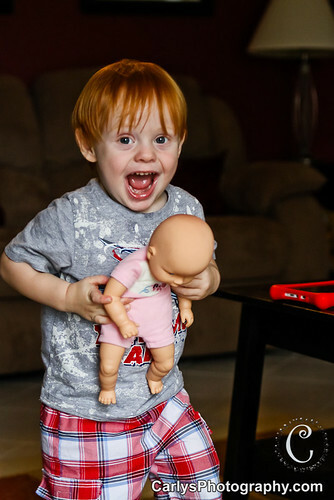 Kyton seemed to enjoy baby dolls, so we got him one of his own. 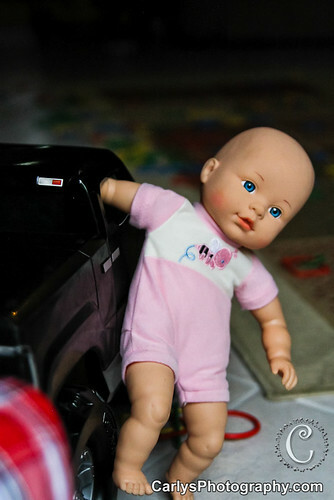 His baby rides around on the truck, and hanging out of the window. 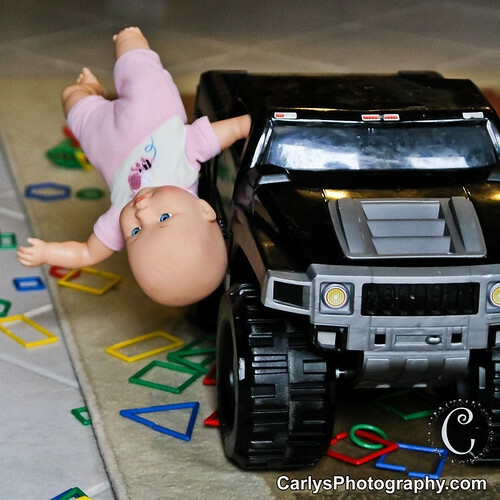 He drives fast and flips the baby off the truck. 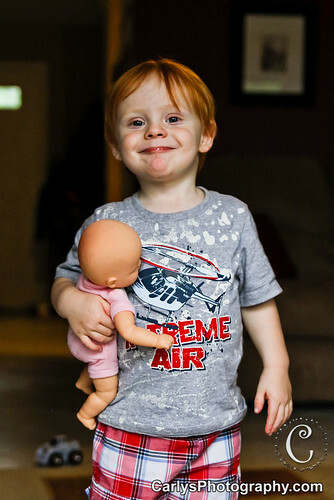 After a crash he hugs the baby, then puts baby back for more. 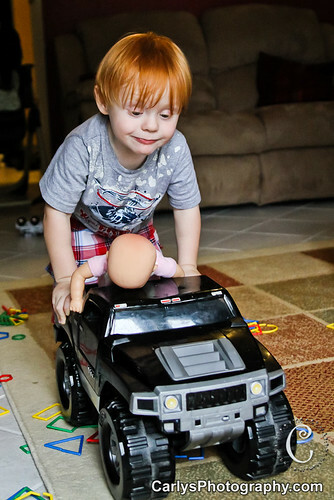 I find it interesting to watch my boy and see how he uses his baby and trucks together. 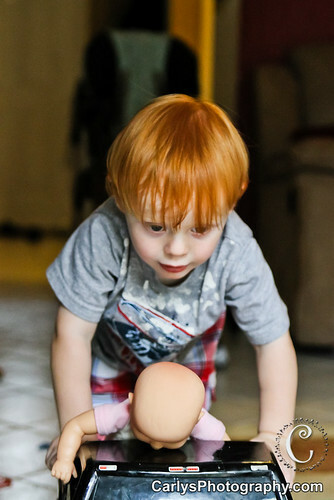 It is pretty cool that he plays with both of them at the same time. 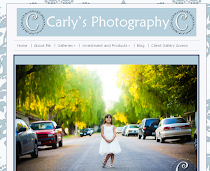 Nice photos also! So cute. I love it. Kyton is 2 Years Old Today!